Home	→ Blog → HAIR EXTENSIONS → Where can I buy human hair wigs online? From time to time, you get bored with my style or look, the first thing you should do is change your hair. But you don’t want to do something harmful to your natural hair. Have you ever heard the term hair extension? Hair extensions are specific hair pieces developed to provide length to an individual’s hairstyle. Moreover, If you are looking for immediately way to fight with hair loss or thinning hair, human hair extension from Layla Hair maybe is the best for you. It does not only match up your natural hair very well but also don’t make something harmful to your natural hair. Simply you want to change your hairstyle without taking much time to go to the salon, find the stylist or damage your natural hair, why you don’t try hair extension. As you know, beautiful hair extension at Layla Hair look and feel the most natural because it is natural real human hair. Real human hair wigs are really soft with perfect shine and movement not easily tangle. In addition, if you are the stylist, owner hair salon or hair business, high-quality hair extension will bring a lot of benefits to yours. You are able to make your customer really satisfied, they will come over and over again. Layla hair is one of online vendors that you will never disappointed with hair extension with the reasonable price. Real human hair extensions and Synthetic hair extensions. One the one hand, human hair offers the most natural look and feel. It is remarkably soft with a shine and movement that is not easily duplicated in synthetic hair. It is also extremely versatile. Human Hair can be cut and styled to suit your personal tastes. And while it can be a more expensive pick, with the proper care, it is also more durable and can last over a year. On the other hand, With technological advances, synthetic hair has come a long way in recent years. In some cases, it is difficult to tell the difference. However, what frontal lace synthetic hair synthetic hair offers in ease, it lacks in versatility. It cannot be styled to look a lot of different ways like its human hair counterparts. Then, Synthetic hair extension is less durable and cheaper than the human hair extension. Thin tape, easy to attach and can last a long time. Tape hair extensions from Layla Hair Wholesale Hair Vendor have very thick ends. 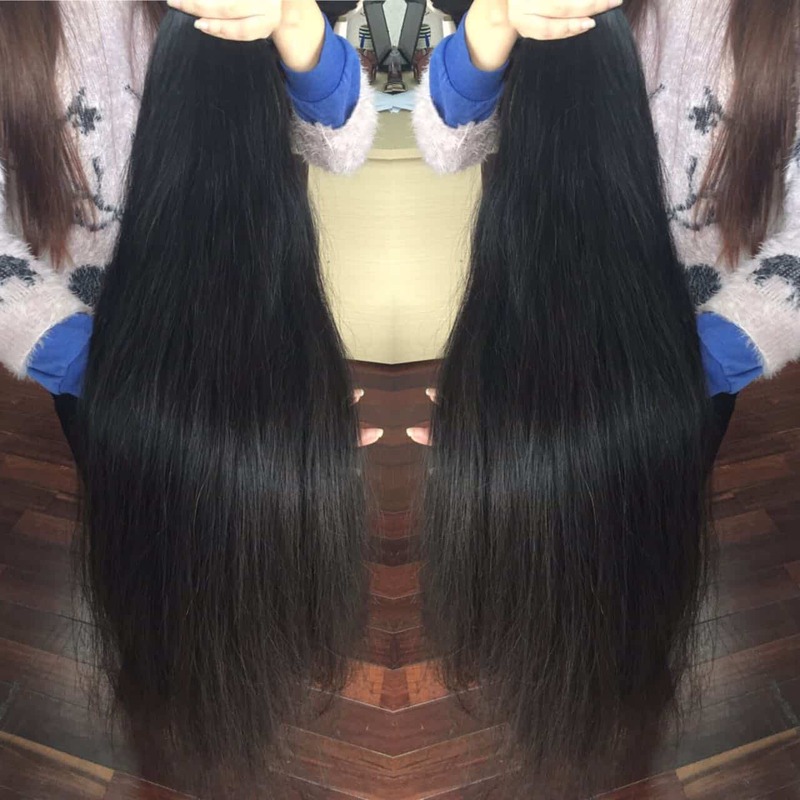 Pre bonded hair extensions from Layla Hair Wholesale Hair Vendor is made from 100% human hairs, thick ends with high-quality keratin imported from Italy. You can freely style full lace wigs from Layla Hair Vendor in any way you want. Part it in any sides, up-do it or braid it just like what you want. Basically, it is thin wefts sewn together, adding lace in frontal part to make it durable and wearable at the same time. Hair topper from Layla Hair Wholesale Hair Vendor is a new product that we are developing. Human Hair Topper has high coverage, can cover all type of baldness including M shape, O shape, and U shape. Very comfortable and affordable at the same time. In my company, we can do every color you want like blonde, brown, black, ombre, platinum blonde, etc…Or any hairstyle including straight, curly and wavy… You choose it, Layla will make it. 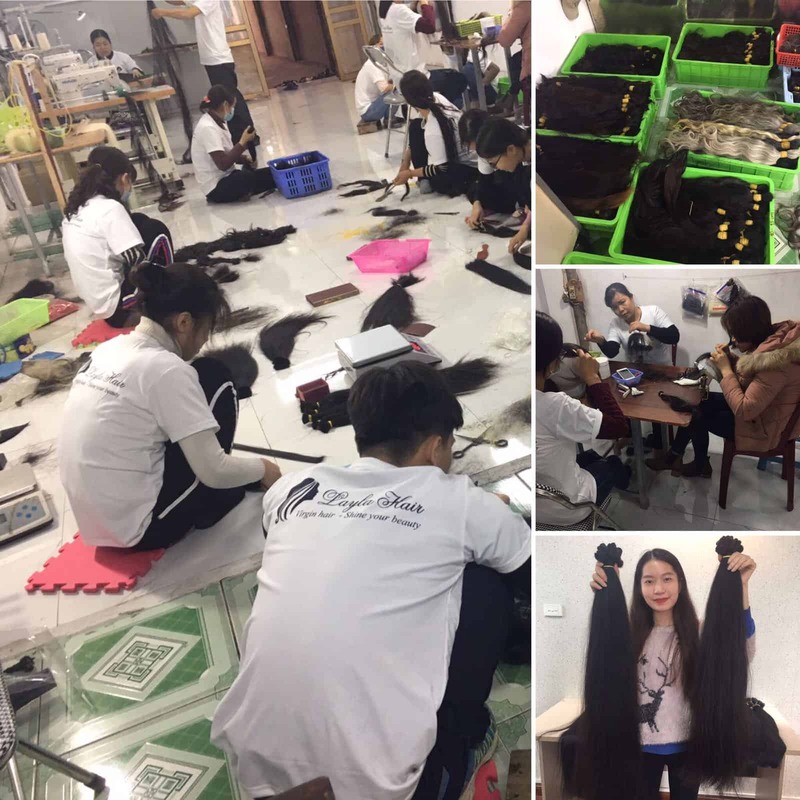 Layla Hair is the leading wholesale of 100% human hair in Vietnam with a superior monthly capacity of over 10 tons of hair. We assure your satisfaction and qualify all expectations of the original 100 % Vietnamese or Cambodian women hair (unprocessed & natural hair). Besides, Layla’s hair comes from only the most healthy, youthful human hair using our breakthrough processes which ensure that all cuticles face the same direction throughout manufacturing. This unique process preserves the protective outer layers of each hair and results in a more natural look and a smoother feel. It retains its natural luster much longer than ordinary human hair. Moreover, human hair extension from Layla will become the best hair extension you have. It is healthy and neat with no tangle or no shedding. We have been collecting human remy hair from either one donor or more than one human beings. This quality is without doubt hi-end and the hair integrations stay gorgeous without any fears of washing or handling. Layla knows a big misconception that hair extension for black women or those from such races. In fact, many influencers take advantage of weave to have a more outstanding appearance in the crowd. It is not hard to find them in the magazine or talk show online. We believes that beautiful hair extension is the best way to help you become the most beautiful girl. After reading the article above, Layla believes that now you can answer the question Where can I buy hair extension online? 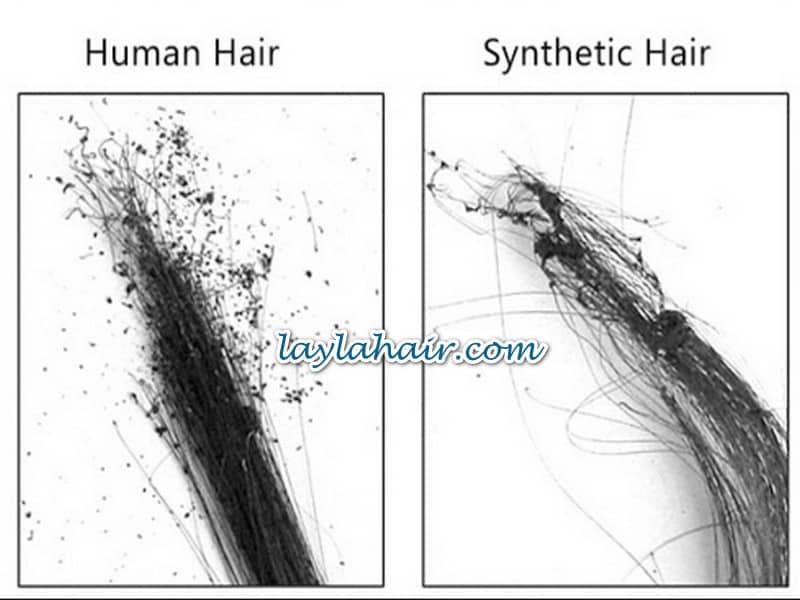 Layla Hair hopes that is meaningful information for all customers. Let’s change our look and be more gorgeous by having Remy hair extensions. If you have any questions or comments, please comment below, we will answer you and give you pieces of advice!